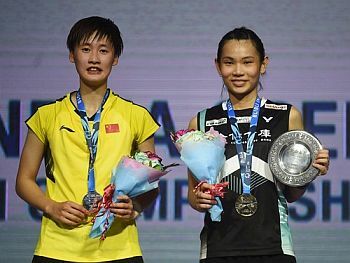 the women’s singles title at the BLIBLI Indonesia Open in Jakarta, beating China’s No. 5 seed Chen Yufei (陳雨菲) 21-23, 21-15, 21-9. The victory marked Tai’s 29th consecutive career win and her 5th straight title this year.